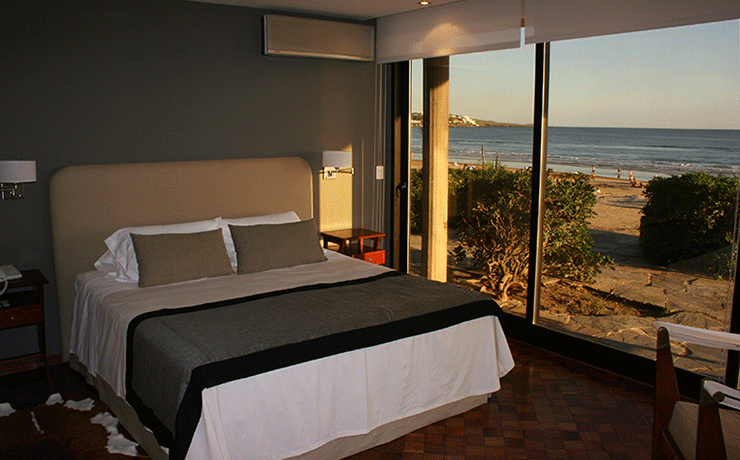 La Solana Boutique Hotel, an exclusive Boutique Hotel in Punta del Este, is located in Solanas Beach. The Hotel was built in an emblematic building created in 1947 by a well - known architect and landscape designer, Antonio Bonet, and it is protected as a National Historic Monument. With only six rooms, La Solana offers a blend of nature and stone, set in a lush landscaped garden on the calm Solanas beach. 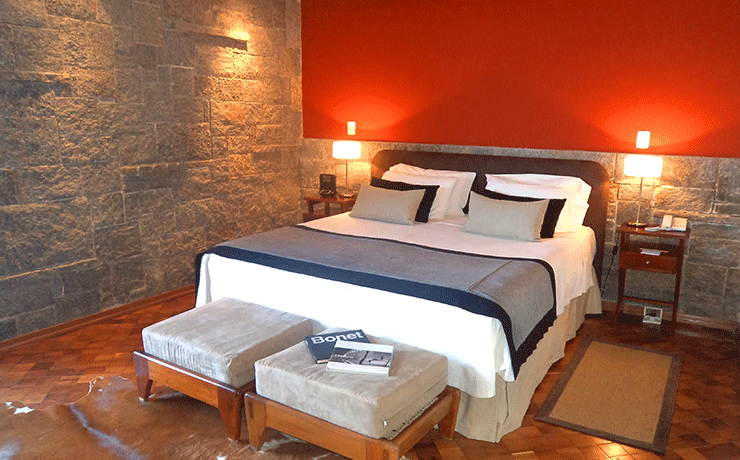 La Solana Boutique Hotel devotes its potential to provide a place of rest and relaxation for its guests. La Solana Boutique Hotel has a modern and fully equipped apartment on the top floor surrounded by incredible views to Solanas Beach and an exclusive 120 sq. meters terrace with private access by stairs or by the garden. Its spaces are comfortable and luminous. This suite pays tribute to Antonio Bonet. In its 56 sq. meters you will be able to enjoy a pleasant moment next to the fireplace, have a relaxing bath in the Jacuzzi, and enjoy spectacular views.Suite Bonet has direct access to the beach. La Solana has four Deluxe Rooms. All the rooms are spacious, designed around 30 sq. meters and with Bonet original furniture that has been placed in a way that every space is used efficiently. From the ample sliding glass doors you will enjoy beautiful ocean views. 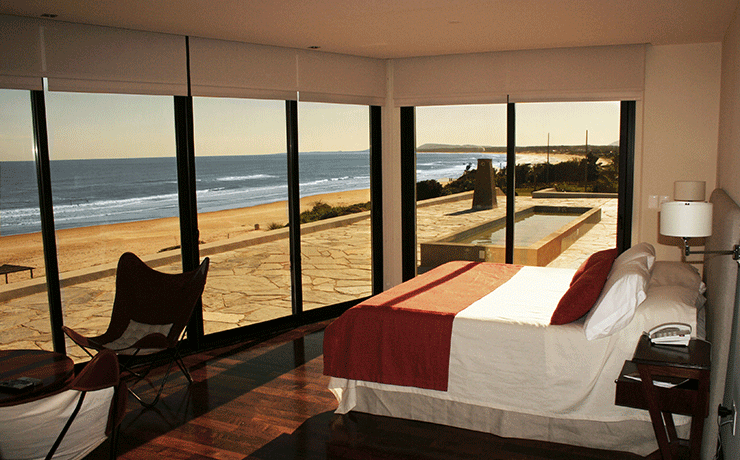 Deluxe rooms have direct access to the beach.